As your Oakland accident law firm, we know that automobile collisions are not the only form of transportation accidents. While they are less common, train accidents can impact a large number of people at once and can create huge snarls in the transportation system. In an odd coincidence, two train accidents occurred within hours of each other on Monday, with the second accident taking place only a few miles from the first. Adding to the unusual coincidence, both involved a collision with a truck. Per a report in The Oakland Tribune, the first of the two crashes involved Amtrak Train 712, originating in Oakland and headed to Bakersfield. At 12:25 P.M., a tractor-trailer driver failed to yield to the oncoming train at a gate-controlled crossing in Central Valley, a farming town located just south of Hanford. The train continued to travel approximately 600 feet after the crash before derailing after hitting a switchback. Two of the train’s four passenger cars and the locomotive, the portion of the train that powers the vehicle, veered off the tracks. Witnesses report that pieces of metal from the trunk ended up inside part of the train. Approximately 169 passengers and four crew members were aboard at the time of the Central Valley crash. According to the King County Sheriff’s Department, the accident left at least twenty passengers with mild to moderate injuries including general bumps and bruises and possibly some cases of broken bones. The driver of the truck also suffered minor injuries. Thankfully, reports indicate that no serious injuries occurred. Representatives from Amtrak and BNSF Railway, the owner of the railroad at the location of the crash, visited the accident site. The California Highway Patrol is investigating the collision. A little more than three hours later, at around 3:50 P.M., a second crash occurred at the intersection of Grangeville and 4th avenues. This site is only a few miles from the location of the Amtrak collision. Authorities believe that the driver of a silage truck misjudged the distance and speed of a freight train, resulting in the crash. The truck driver, who was delivering feed to a nearby dairy, sustained a large cut to his scalp and an ambulance transported him to a Fresno hospital. Investigators do not believe drugs or alcohol were a factor. The Bureau of Transportation Statistics (“BTS”) is charged with collecting, managing, and sharing data on public and private transportation in order to help advance the goals of the Department of Transportation. According to the BTS, 1,133 train accidents occurred in California in the year 2000, with 16,919 accidents nationwide. That year, California train accidents led to 808 injuries and 101 fatalities, with 11,543 people injured and 937 killed across the country. 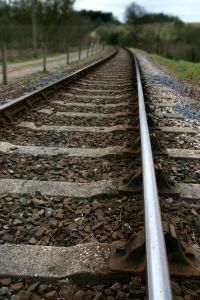 Train accidents can stem from a number of different causes. The most common categories of factors leading to accidents are (in no specific order): Mechanical/Electrical failures; Track, roadbed, or structural issues; Human error (either on the train, in other railroad positions, or stemming from a driver or other outside individual). Deciding who is at fault can require expert analysis, even where the accident seems clear-cut. Train accident attorneys know how to work with these experts and also understand specific issues that apply to rail accidents, such as notice rules that can attach when the railroad is government-owned. Greg Brod is an experienced accident lawyer with the skills and knowledge needed to help Oakland train accident victims. Call if our firm can help you.